The Minotour® may be the smallest bus we make, but don't be fooled by its size. Into this highly compact and maneuverable vehicle, we've packed all the safety features and rugged engineering of our bigger buses. 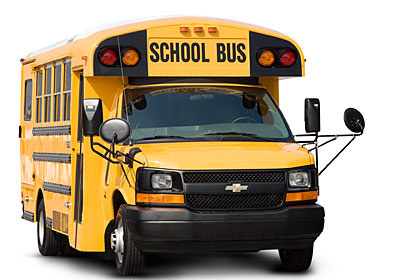 And, unlike most passenger vans, the Minotour meets and exceeds all Federal Motor Vehicle Safety Standards for school buses. The Minotour is loaded with features. Thousands of young passengers count on you everyday to get them to school and back. Safe and sound. The Saf-T-Liner® C2 is built with these very passengers in mind. The C2 is safe. It's reliable. And it’s innovative. 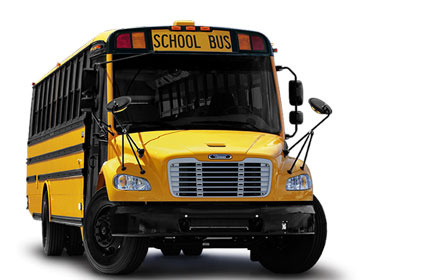 We've revolutionized the school bus with outstanding maneuverability, state-of-the-art driver ergonomics and the most visibility among all Type C buses. And with one of the most extensive dealer networks in the industry, there's always support nearby when you need it. That's innovation for the sake of every kid's commute. That's Thomas Built Buses. 158", 179", 199", 219", 238", 259", 279"
When it comes to our schools, every efficiency counts. That's why we've built so many into our updated Saf-T-Liner® EFX. 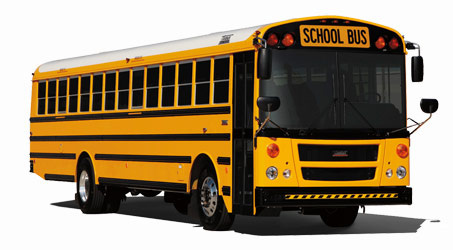 Seating for up to 90 passengers and a wider loading aisle make this bus ready for whatever the school year brings. The cockpit is designed for driver comfort and safety with ample legroom and optimized access to controls. Plus, our engine cover allows for quick, easy and tool-free access to the engine, fluids and belts, keeping routine maintenance time to a minimum. The Saf-T-Liner® EFX is a front-engine, transit-style bus that is versatile and an excellent value. At Thomas Built we listen to our drivers, mechanics and customers to help us develop the best buses on the road. And with one of the most extensive dealer networks in the industry, there's always support nearby when you need it. 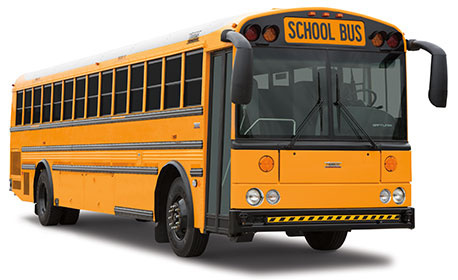 136", 155", 174", 193", 212", 231"
Bus routes come in all shapes and sizes. Short and hilly, long and bumpy or all of the above. The Saf-T-Liner® HDX and Saf-T-Liner® HDX CNG (Compressed Natural Gas) from from Thomas Built Buses was built to handle them all. We keep the driver comfortable with features like the standard tilt and telescoping steering wheel and optional adjustable pedals, while air conditioning, coach-style seating and heavy-duty shock absorbers make the ride a perfectly pleasant one for up to 90 passengers. Of course, safety is most important to everyone, which is why the HDX meets or exceeds FMVSS. Our unwavering commitment to the needs of every passenger, driver and customer has made Thomas Built a leader for over 90 years. And with one of the most extensive dealer networks in the industry, there's always support nearby when you need it.